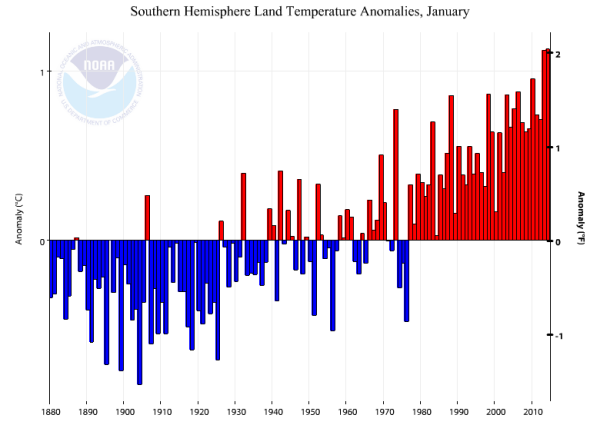 January 2014 was the fourth-warmest January on record. Don’t Let the Snow Fool You. January Wasn’t Cold at All. 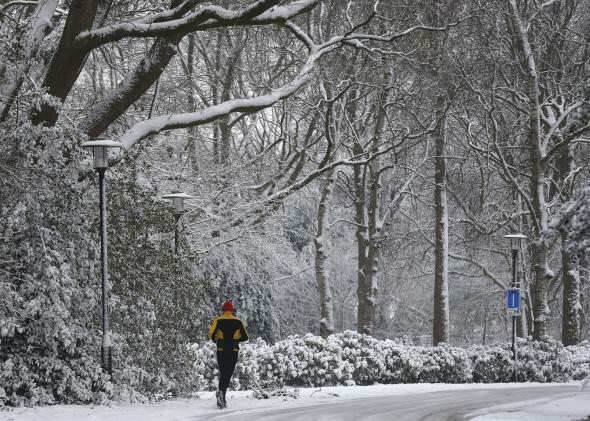 Snow in the Netherlands in January 2014 doesn’t mean that global warming isn’t happening. Quite the contrary. The climate numbers are in from January and, on a global perspective, it actually wasn’t that cold at all. Yep, the last month in which Earth’s average temperature was below the 20th-century average was during the Reagan administration. February 1985, to be exact: “I Want to Know What Love Is” by Foreigner was the No. 1 song in the country. Sally Field had just been nominated for best actress for Places in the Heart. The author of this piece celebrated his fourth birthday party. That’s a long time for a planet to run a fever. Despite the East Coast cold, new data released last week shows January 2014 ranked among the warmest ever globally—the fourth warmest January since 1880, to be exact. You’d be forgiven if you thought we were going through a cool spell this winter. What with all the right-wing rhetoric from Donald Trump to Rush Limbaugh, the polar vortex has become the latest excuse to deny climate change. It’s cherry-picking—highlighting a shred of evidence that’s unrepresentative of the full picture. That isn’t generally a good strategy to follow, scientifically—but then again, when was the last time Fox News really cared about climate science? The numbers show that even the United States—land of ice caves, boiling-water-into-snow tricks, and Game of Thrones references—had basically an average January, temperature-wise. A month-long cold snap on the East Coast is not representative of yet another month of near-record warmth globally. Look at the East Coast, and then look at the rest of the world. And then, consider yourself special. You were one of the few people on Earth that had a cold January! In a world of accelerating climate change, that’s almost the stuff of nostalgia. No spot on Earth—yes, even the eastern United States—had a record cold month. In contrast, parts of Brazil and Argentina, southern and central Africa, Greenland, a speck of the Gobi Desert straddling the China/Mongolia border, the western Pacific Ocean, a large area off the coast of Alaska, and even a significant section of the Atlantic Ocean all had their warmest January in recorded history. The numbers were crunched by NOAA’s National Climatic Data Center, based in Asheville, N.C. This marks the ninth consecutive month (since May 2013) with a global monthly temperature among the 10 highest for its respective month. So, not only is global warming alive and well, but it seems to be accelerating in recent months. In fact, land areas of the Southern hemisphere (you know, South America, southern Africa, and Australia) —where it’s currently midsummer—had their warmest January ever. January 2014 was the warmest ever for the places that people live (land) in the bottom half of our planet. Good thing this isn’t a trend. With a possible El Nino still brewing for later this year, it seems the stretch of globally warm temperatures won’t end any time soon.